Sam Vogel better known as JAUZ brings his shark squad to invade the waters of Santa Cruz on November 17 at The Catalyst. Based in the Bay Area, Jauz produces tracks across many genres such as future bass, dubstep, and his main genre bass house. Most people would recognize him for his song “Feel The Volume”. He has also collaborated on many tracks with superstar DJ’s Skrillex, Marshmello, Tiesto, DJ Snake and Diplo. After many years of producing hit dance singles Jauz in November of 2017 he announced that he would become the CEO of his own record label Bite This and in August of 2018 would release his first studio album “The Wise and the Wicked”. 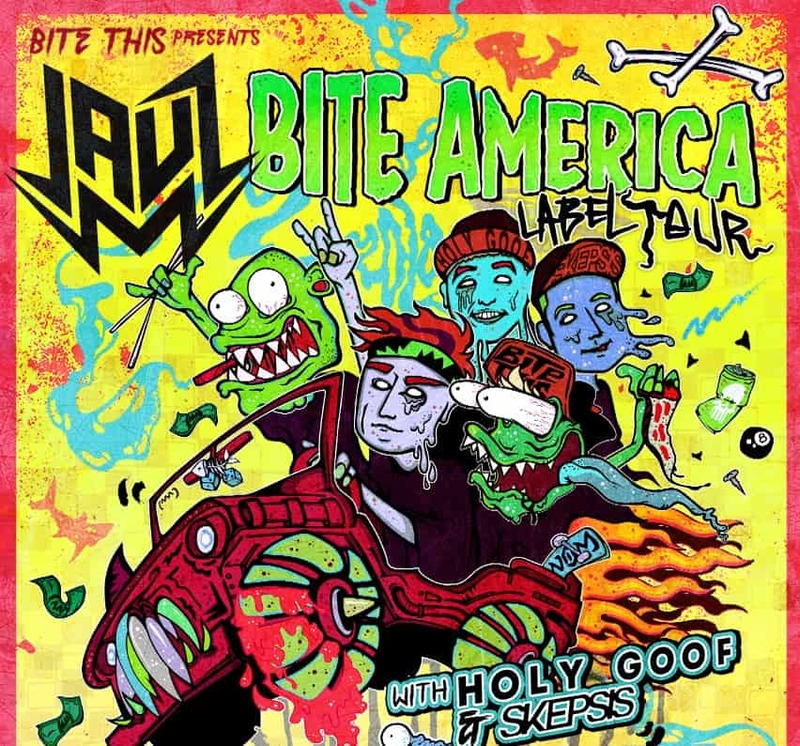 Shortly after the release of his album he goes on his first Bite This tour which showcases Holy Goof and Skepsis (who did not play in Santa Cruz) two of many artist signed onto the label. We open the show up with Connor Bvrns an upcoming DJ from LA who has just recently opened up for Diplo. His set slowly but surely set the mood for the night from playing many tracks across genres from trap to moombahton. One song that really stuck out to me from his set is hearing “Love Again” by Slander which immediately gave me a nostalgic vibe as I haven’t heard the song live since 2016. Right after his set Holy Goof takes the stage. From the UK, Holy Goof was my most anticipated set for as I was very excited to hear the sounds of the UK come to the US. Holy Goof did not hold back at all unleashing UK Bass House tracks that amazed the crowd. Unfortunately, during this set, I had experienced a recurring issue that I have had at The Catalyst which involves the crowd’s lack of spatial awareness in the middle. I quickly avoided this mess by moving towards the left side of the venue which had more space to dance without having to miss out on most of the light show. While Holy Goof’s set was full of energy, Jauz quickly stole the show as soon as he came on. All throughout his 1 and ½ hour set, he did a good job in blending many different styles of music from Dubstep to House. Playing many tracks from his album, “The Wise and The Wicked” I felt complete when I got to hear my favorite track from the album, “Acid or Techno”. In all, I would give this show a 7/9 ★★★★★★★☆☆ on my scale. The show overall was great! While I still had to deal with people’s lack of spatial awareness, the energy was high and it never went down at all throughout the night. Great mixing from all the supporting DJ’s and a great set from Jauz.